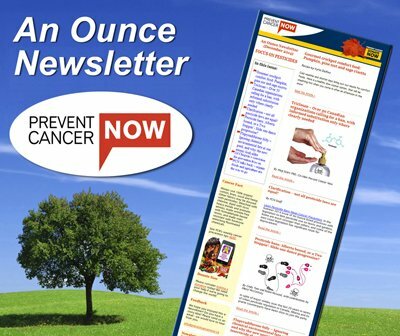 Prevent Cancer Now » It’s almost lawn time! Harmful? Wait, aren’t they approved by Health Canada? 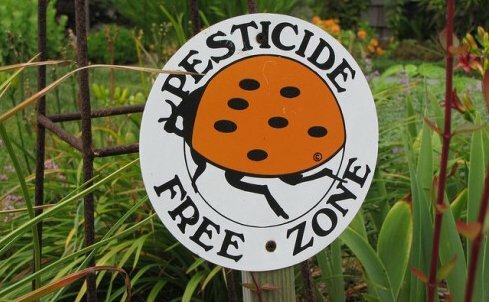 Most of the contents of a pesticide are trade secrets and the exact contents are kept from the public. The formulants that accompany the main ingredient targeting the weed or insect include many suspected and confirmed carcinogens. But….I can’t tell you what they are. That information is protected by Health Canada. OK, so what can you do to keep a decent looking lawn and to stay away from synthetic chemicals? Organic lawn care is about growing grass properly. The plethora of advertising about lawn products available throughout the year often reminds you of yet another insect or weed that is poised to claim your green space. So we tend to think that our mission is to kill. But let’s try the approach of growing properly. Instead of fertilizing so much, try over-seeding! Over-seeding means adding grass seed to existing turf. The main grasses used in lawns in northern climates are Kentucky Bluegrass, Fescues and Perennial Rye grasses. If your lawn has been sodded, it would be 100% Kentucky Bluegrass. If you have a lawn that was seeded or if your lawn is long established, it probably includes a mix of these types of grasses but the Kentucky Bluegrass is most likely the dominant grass type. It winters well but does not handle drought well. Your lawn will be more resilient to insect infestation, weed infestation, and drought if you introduce Perennial Rye and Fescue grasses into your lawn. Spring is a very good time to over-seed. Put it on your calendar to do this again in mid to late August as this is an even better time to over-seed. This is because the grass seeds have virtually no weed seeds to compete with and the temperature does not fluctuate as much. You are best to give your lawn a good stiff raking or dethatching before over-seeding. Grass seed likes to be in contact with soil of course, not with the decaying grass clippings or leaves sitting on top of the soil. Topdressing with small amounts of soil over top of your seed is also helpful but any more than ¼ of an inch will smother the existing grass. If you don’t take this step, you will waste all other efforts to green up your lawn or to grow grass instead of weeds. Seriously, I can’t tell you how many people have destroyed otherwise good efforts by cutting their lawn down to two inches or less. Why is it so important to raise your mower? Long blades means long roots! As soon as you cut the grass blade, it immediately stops root growth. Grass needs a certain length of blade in order engage in the photosynthesis it needs to survive. Also, if you have long enough roots, you may end up with a grub infestation later on that you will never know about! If there is plenty of root, grubs may eat some of the root, but not enough to destroy the plant. Of course, if certain animals and birds find out your lawn is loaded with delicious grubs, you will have ‘collateral’ damage where they tear up the turf to find the grub. For now, raise your mower and grow long roots. This will protect your lawn from drought and insect damage and weeds because most weed seeds need direct sunlight in order to germinate. The thicker your lawn is, the more that the soil is shaded. All lawns are full of weed seeds, yet they only become weeds if the conditions are right for them to grow. And for most weeds, step one is sunlight. So don’t blame a neighbour for weeds coming onto your lawn since the seeds are probably on your lawn already. For proof of this, just look around your neighbourhood and beside roads, and, generally, the more sunny a patch of lawn is, the more dandelions you will see. You probably over-fertilized it in the spring and the excessive growth is causing you extra work! Well, yes, you will win that round as they lie chopped up on the ground and yes, that will yield a certain satisfaction which may even be worth it, but in reality you have opened the soil to enough sunlight for new ones to germinate. Hey, let’s not knock long hair. I was rather proud of my afro in the 70’s and some say that I even looked like a walking dandelion. If you find yourself alone in a sea of short lawn cutters, stand up and be proud of your three inch grass! When they are fighting with the hose all summer, you will have the greenest lawn on the block in the middle of the worst drought. It will recover the quickest after a drought, whether or not you watered it. How long is too long? Don’t let it grow past four inches, as then you will grow a thick stalk on the bottom which will not have enough nodes on the blade for proper photosynthesis, and it will feel rather stubby on the bottom of your feet. But take heart, if you follow a moderate and organic fertilization program, your lawn will not take off on you and grow too quickly. You are always in danger of forcing too much growth when you use a high nitrogen chemical fertilizer, including most that are still marketed as ‘slow release’. Our outdoor grass spaces are meant to be enjoyed and with a mix of grasses and longer grass blades, you will be able to avoid many common lawn problems and also be saving money on your watering bill. But perhaps most importantly, the more that we can reduce your exposure to synthetic chemicals, the healthier you and your surroundings will be. Mark MacKenzie is a former member of the PCN Board and is the former President of the Organic Landscape Alliance. Mark lives in White Lake, Ontario.